The niche of business and web development both are pretty saturated on YouTube; but almost no one is talking about business and web development. And that is why, I am starting a new YouTube channel to help small-to-mid size business owners with their websites. So essentially, on this YouTube channel I will be making videos on business growth hacks, growing a business online via social media and the most focused one: growing a business online via a great website! I am including the first video, it’s audio and the transcript as well. Go through it and get back to me in the comments! Welcome to my channel. In this intro video, I am going to share my purpose of starting this YouTube channel and the topics I will be covering in the upcoming videos. 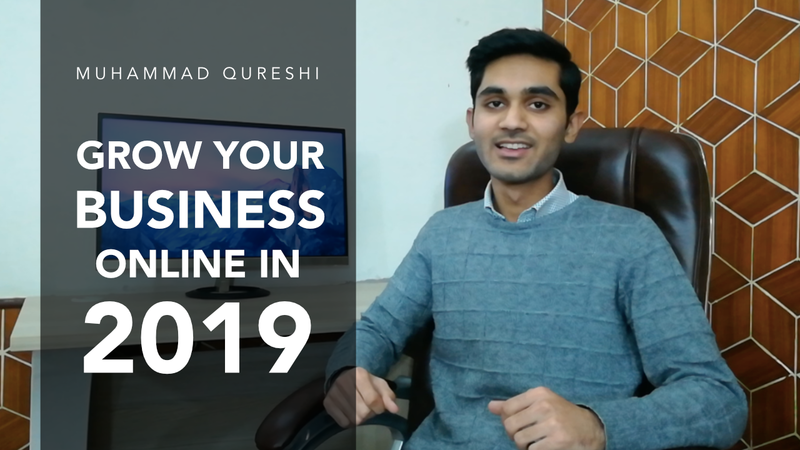 Hi, I am Muhammad Qureshi, the Founder and Head Ninja of Qureshi Creatives where we develop amazing good websites and help business owners like you to grow their business from here to here. If you are a business owner or planning to a new business from scratch hit that subscribe button because I am going to share valuable content with you each week. I stepped into the world of business in my high school at the age of 17. I launched an online store for my country and that got me into a number of publications across the country. And I even got featured in a book called “Shahbash Kahani” which translates to “Well Done Story”. That was the first website I ever made and it’s success made me believe that I can mark a distinction in the world of web design and development so I got into that a few years ago. Since then, I have helped dozens of people around the globe to grow their business substantially. The purpose of starting this YouTube channel is to help small-to-mid size business owners to grow their business substantially. As I have a background in business and as well as web development, I will be sharing tips on business, growing your business online and making sure that your business website is great enough that it is attracting customers from all around the globe. As I already mentioned, I will be making weekly videos for you guys, so stick around.